Manda’s Milo Drink for those of you who love a warm cup of coffee first thing in the morning….yet…. I know some of you are struggling with coming off the coffee (me included – seriously doesn’t agree with my adrenals). 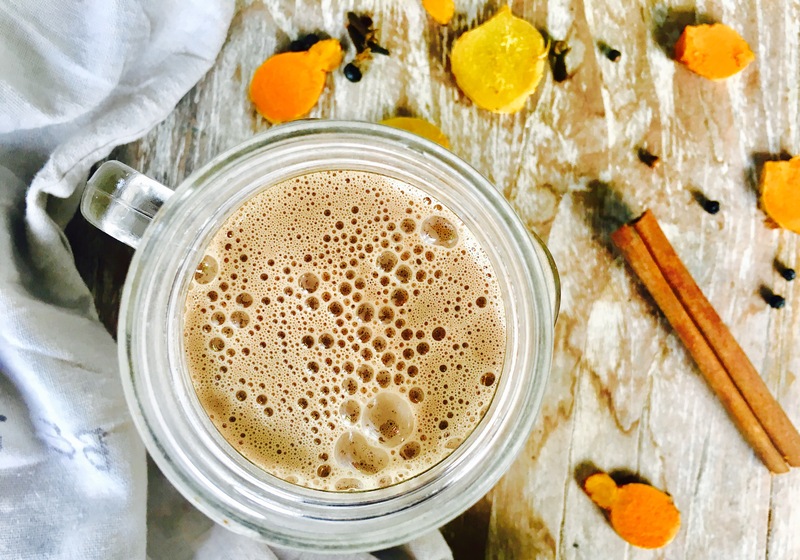 So I came up with this awesome warming drink this morning, it is kind of like a chai, has green tea, and cacao in it so you get a bit of a buzz without the crash – and its chock full of immune boosting superfoods, perfect for this time of year. Boil and simmer this mix for five minutes in a pot on the stove. Strain off and set aside. PPS. 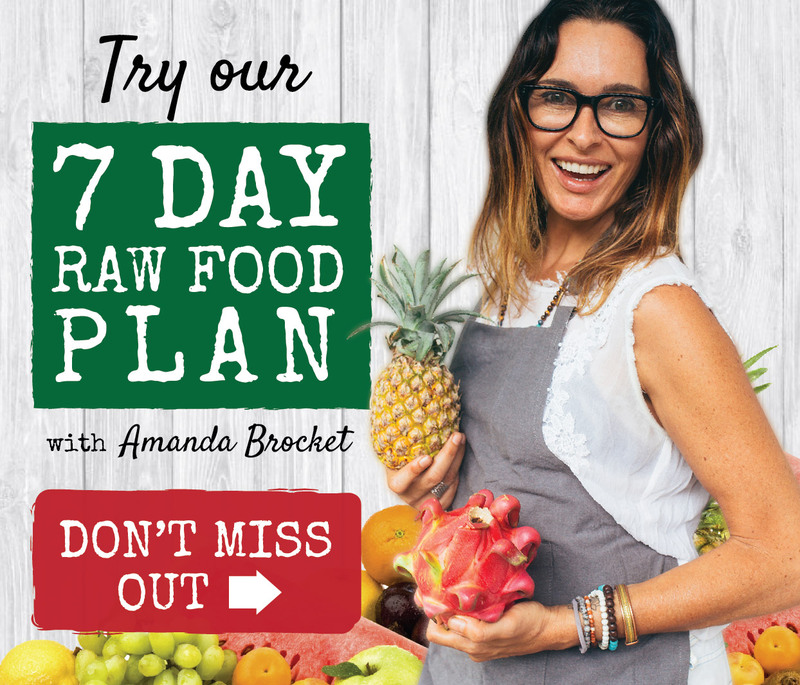 If you would like to experience what its like to live the raw vegan lifestyle, detox and gain more energy for 4 weeks on our 28 Day Program, all recipes, meal plans shopping lists, videos & bonus material, plus our community on the private Facebook Group page included, jump on board. You can start anytime! PS. Have you seen my Salted Pecan Caramel Fat Bombs Recipe Video yet? Check it out here.